Michele writes to us, that he has ridden a motorcycle all his life but now he needs a Scooter 125. He will use it to go to work and on weekends, he will not do many kilometers. But he has an existential doubt between two models: Suzuki Burgman and Yamaha XMAX . Michele has gone to work and live in Portugal, and there she needs a 125 scooter for her daily trips. At 48 years old he has ridden a motorcycle all his life, but now he has to buy a 125 scooter. And hesitate between the Suzuki Burgman and the Yamaha XMAX . It will do a few kilometers a year, about 5,000, and asks us for advice to see what we think of them. 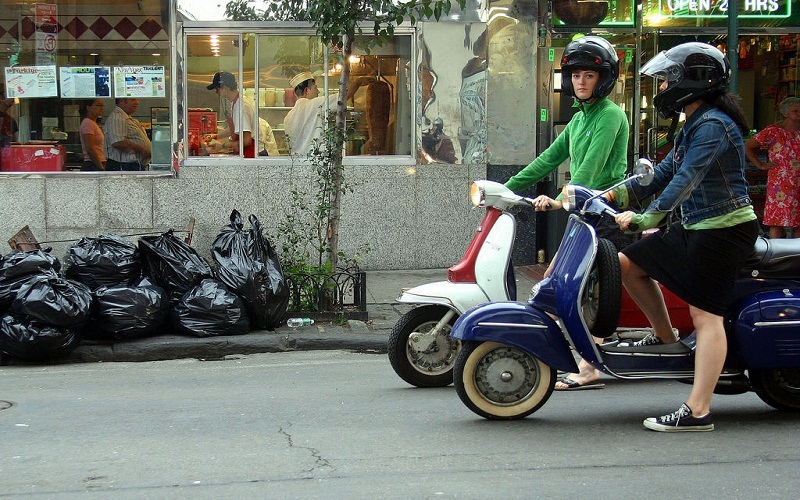 The truth is that the two scooters among whom you doubt are very good. The best of the category if not the best. But quite different from each other and you will be the one to decide according to what you are looking for or need. The Suzuki Burgman 125 is a very agile model. Although it may look great, with a very low seat (ideal for short riders), very manageable. Its engine and transmission push well from standstill, accelerates fast. And well, and then gets good top speed but does not flatten in an extraordinary way. Now it has ABS brakes (for a time they were combined) but in that there is equality. The Yamaha XMAX 125It is quite different: longer, higher (you get much worse on the floor from the seat). Even the engine, although accelerates well, which stands out for its ability to llaneo. And reaches one of the best top speeds of 125 (and just over 110 km / h each little account a lot to not depend on the rest of the traffic). So the decision has to be what you need. By size or size (you or who can use it) and by type of use. Although if you are going to do a few kilometers (relatively) I understand that they will be more city. And in that case the balance would go in favor of the Suzuki. If you plan to use it more even on medium-distance trips, Yamaha would be the favorite. Buy scooter 125 … new or used? big or small? We have two similar queries that we will group into one: David and Haitz look for a 125 scooter. And have doubts about whether to choose a bigger model (Yamaha XMAX or KYMCO Super Dink). 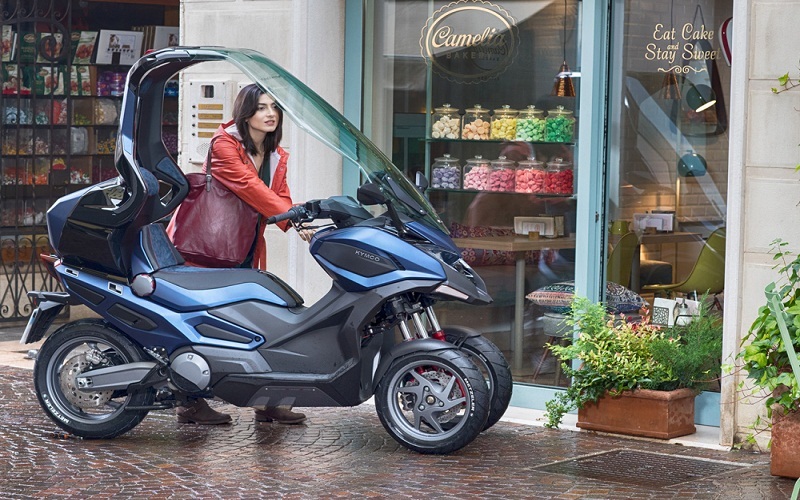 Or a compact one like the Yamaha NMAX. Both will be novices on two wheels. David and Haitz write to us with queries that we can answer at one time: both will be novices on two wheels and look for a 125 scooter. We assume that because they have a car license and thus take advantage of the validation. David looks for a new bike. 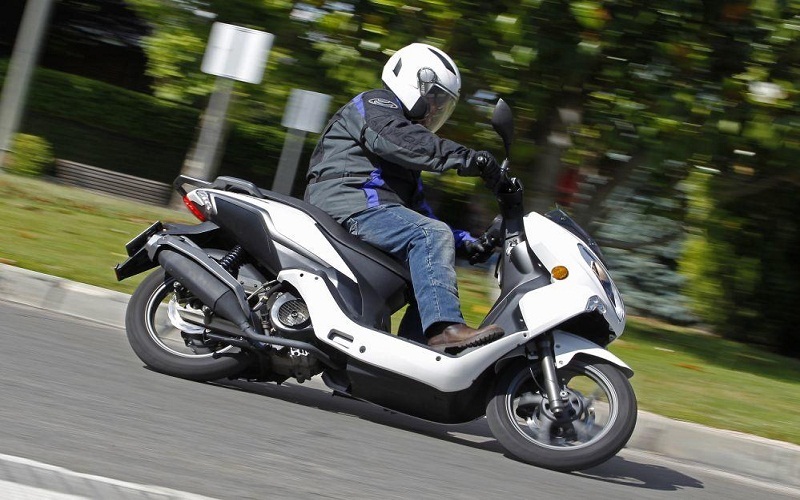 And hesitates between a KYMCO Super Dink and the Yamaha NMAX . Really doubt between a citizen and agile scooter. And one that allows you to face any exit or route within the limitations of a 125. Haitz has a similar dilemma. 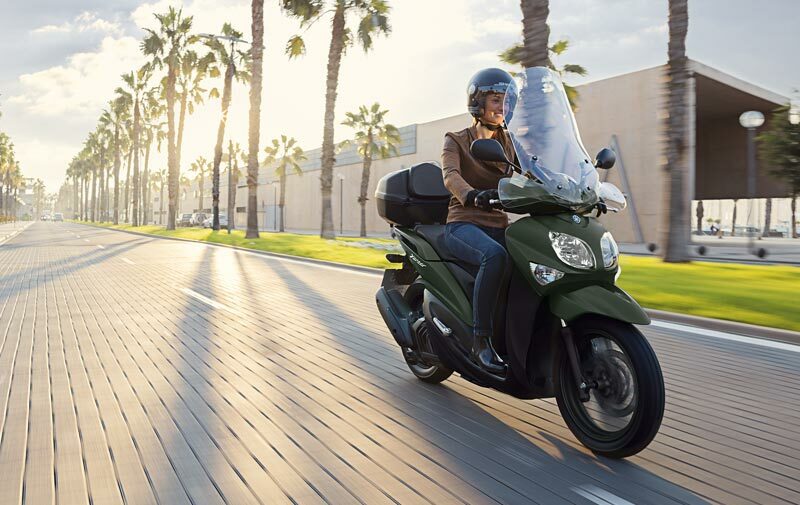 But between two used bikes in good condition that he has found looking for: a fairly new Yamaha NMAX and little used (year 2017 with 6,000 km). Or an older and used XMAX Yamaha (2012 with 30,000 km). The truth is that for someone without experience riding a motorcycle is tempting or more tempting to pull for a more compact, lightweight and agile. 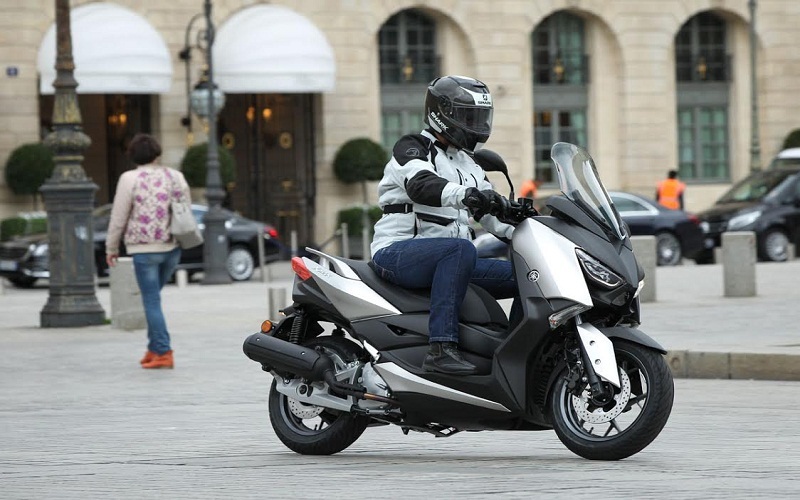 This is the case of the Yamaha NMAX but also of its rival Honda PCX (for giving an alternative). Two scooters that reach the ground well (even better in the Honda than the Yamaha for the less tall people). That factor is important (get to the ground) for those who start. The two compact shines very high because they are really agile and easy to move in motion. In addition they are quite light and also at low speed or when stopped they move without problems. Which to choose? Depends on the needs: the advantage in agility of the compact models is lost in other aspects, the main benefits. They mount somewhat less powerful engines and their maximum speed is about 10 or 15 km / h below the models say “GT”. It does not seem like much. But in practice it is because the 125 circulate in depth at speeds that are very close to that of heavy traffic: trucks and coaches in particular. And it is not the same to walk at about 90 km / h real (or less) slopes of the mirrors and what comes from behind, than to do it at 100-105 or something else having to be more attentive to what is in front of us and we are going to advance. That is why, if we are going to circulate a lot by highway or bypasses (there the speed is more limited and the traffic also limits it, but it depends on the time) a bigger and faster scooter is better. It will also be more comfortable and if we have to carry a passenger we will go wider. And of course under the seat will fit more things. If instead we are going to move essentially by city, with some brief incursion in circumnavigations. Or some exit by highway of few kilometers or to hours in which the traffic goes slowly. There yes the compact models take more sense. A model that is halfway by the way is the Suzuki Burgman 125 , which is a “GT” but with a short seat and very agile behavior, a good balance. As for the used ones, the usual advice: it matters a lot how well they are taken care of . Anyway, a 125-km scooter with 30,000 kilometers already starts to be touched. If you are going to use it for a few kilometers, well. But if you are going to do 10,000 per year in two years, you will have 50,000 nothing less. If it has been maintained very well. It can be considered, for that the revision invoices will be of help. And the XMAX engine is one of the most robust, for that.